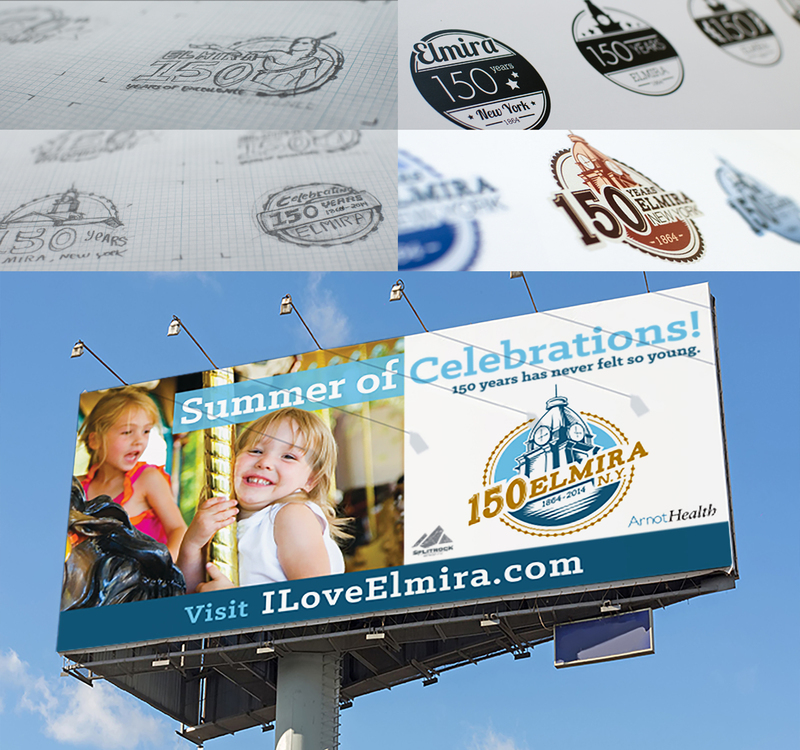 Create a logo to be used to celebrate Elmira, NY’s 150th anniversary that could be applied to a variety of materials and marketing initiatives. Elmira’s city hall roof was chosen to be the focus of the logo. Designers then used refreshing blues and a rich gold to finish the logo. The colors gave the logo a fresh feel, while still incorporating a regal feel with the touch of gold. The final logo was applied to billboards, street signage, posters, brochures, city vehicles, and commemorative celebration items. The 150th Celebration logo was extremely well received and remains an iconic visual in the city of Elmira.